Over the last year I’ve tried to develop a habit of reading a book before bed on most nights. It’s a good habit, and I find that it’s a great way to help settle into sleep, particularly since I’m especially prone to dozing whenever I’m supposed to be reading. Whenever it’s not working as a sleep aid, I also have the added benefit of being able to work through the list of books my friends have recommended to me. For the last six months or so, I’ve dedicated my regular reading time to working my way through Dan Simmons’s four book Hyperion series (well, technically through the three sequels; I read Hyperion a couple years ago after it was given to me for my birthday by some friends). 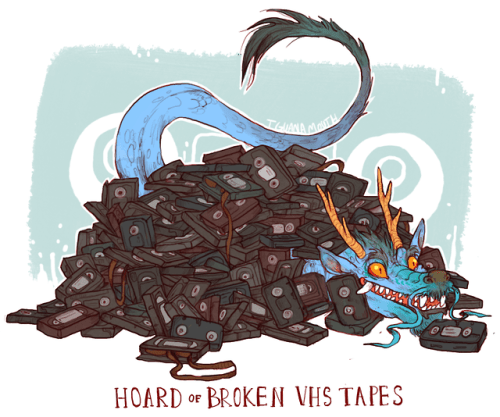 It’s been pretty satisfying, and naturally I have thoughts about the series as a whole. For anyone not familiar with the series, here’s a brief overview of what’s going on: about eight or nine hundred years in the future (I’m fuzzy on the precise timeline), humanity has spread out among the Milky Way galaxy after the accidental destruction of Earth. With the help of a network of sentient AIs known as the TechnoCore, they’ve developed technology that allows for instantaneous travel across vast distances through portals known as farcasters, which have been slowly built on colonized planets, developing into what’s known as the WorldWeb. One planet on the fringes of human space, Hyperion, is on the cusp of being integrated into the Web as a major conflict between humanity and a faction of separatists known as the Ousters is about to escalate. The TechnoCore possesses significant predictive capabilities, and all of their calculations suggest that Hyperion will play an integral role in the conflict, although no one knows in exactly what way. Hyperion also happens to be the home of the Shrike, a mysterious figure who inexplicably kills or rewards people who sight it, and around whom an entire cult has developed. Seven disparate people are chosen to go on a pilgrimage to Hyperion to visit the Time Tombs, a site that’s flowing backwards in time from the future and where the Shrike seems to have originated from. There’s a bunch of other stuff that happens, but plotwise, that’s all the setup you need to decide if you’d like to read the first couple books in the series. If you want to read the latter books, then it’s best to go in understanding that the events of those books are set nearly three centuries after the first two. Besides the larger plot that’s swirling around the small cast of characters who anchor the story, the first book also does some interesting things with structure (being about a pilgrimage, Simmons saw fit to structure Hyperion like The Canterbury Tales, where the primary story advances in small sections that act as prologues to each of the pilgrims’ personal stories that explains their connection with the Shrike and why they were selected for the pilgrimage in the first place) that set it apart from its sequels, which all unfortunately stick to a more traditional narrative structure (I suspect that this change in structure was simply necessary to facilitate the larger story, since all of Hyperion serves more or less only as an introduction to the concepts and conflicts that play out more explicitly in its sequels; the fact that the book just ends once the pilgrims reach the Time Tombs with no further explanation of what they actually need to accomplish there drives this point home). The series also deals with some interesting metaphysical questions regarding the nature of empathy and whether evolution on a macro scale exhibits any kind of greater direction. There’s significant discussion of the concept of the Omega Point, which the Jesuit priest Pierre Teilhard de Chardin described as the ultimate goal of evolution within the universe (the concept resonated with me as similar in thought to what John Haught describes as his “aesthetic principle” in his book God After Darwin; it’s been a few years since I read that one, but I’m pretty confident that Haught, who’s also Catholic, is thinking in light of Teilhard’s work), and also quite a bit of philosophizing over humanity’s relationship with artificial intelligence and the symbiosis that emerges from that relationship (or even if it can be symbiotic at all). The ending of the second book, Fall of Hyperion, reminds me a lot of the Mass Effect series. 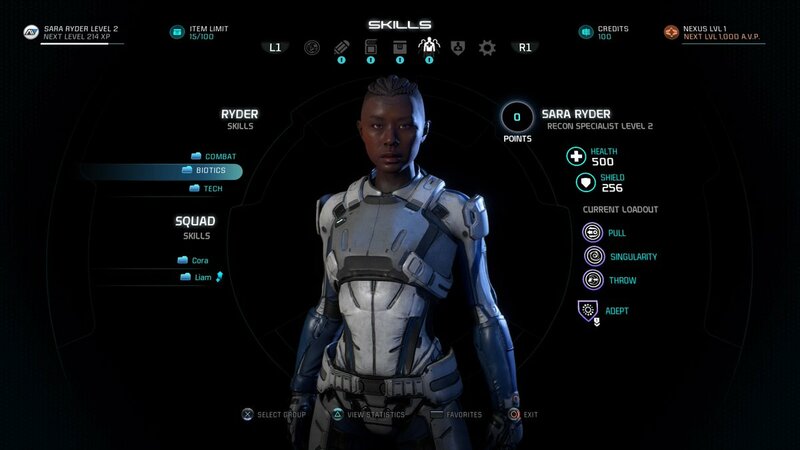 Without getting too spoilery, I can say that there are multiple story beats that Mass Effect seemed to be pretty clearly cribbing from Hyperion (I’m confident the series was a point of inspiration for BioWare, especially given that they have a Hyperion shout out built into the Mass Effect universe with a recurring star system across all the games that’s called the Shrike Abyssal), but in the books they were executed in a much more satisfying way. If you found Mass Effect 3‘s ending to be a little lacking, then reading through the first two Hyperion books gives a very similar sort of payoff, but in a way that, at least for me, doesn’t leave the audience angry with the writer’s decisions. Also, if you decide you just don’t want to commit to four books, Fall of Hyperion ends in a very satisfying place with all the character threads neatly wrapped up. As for Endymion and Rise of Endymion, well, they’re not bad, but they conclude in a way that feels pretty hollow to me. I’ll discuss those two in more depth next time. I Finished Dragon Age: Inquisition! It was good; I liked it. I found the ending twist rather surprising (maybe it was easier to spot for people who are really into Dragon Age‘s lore, but I didn’t see it coming), and the denouement eminently satisfying. As I’ve written several times in the past, I found Mass Effect 3‘s ending lacking, and the fact that the only way for Shepard to survive involves being a colossal jerk to the synthetics was really off-putting (especially after I got really invested in my Shepard-Tali romance), so the fact that Inquisition ends on a high note with no possibility of the Inquisitor dying was really satisfying. I love BioWare games, but it’s kind of a downer when every story seems to end with the hero dying simply because they’re not willing to screw someone else over (I’m looking at you, Dragon Age: Origins, with your twist that requires having someone sleep with Morrigan regardless of whether she’s been romanced in order for the Warden to survive the final battle); regardless of whether that’s supposed to feed into a larger point about the nobility of self sacrifice, it’s really off-putting when I’m enjoying a game that’s largely a good power fantasy. Fortunately, Inquisition is pretty much all power fantasy. Perhaps the only frustration I had with the story was regarding my Inquisitor’s romance with Sera. Sera’s a lot of fun, and I thought her romance plot was really touching in a lot of ways, but it was also really difficult in some ways (at least for the Inquisitor; I resolved early on that I was going to make any decisions necessary to try to see this story to the end, which left the main character agonizing over some difficult decisions). Because I played as an elf, my Inquisitor’s background was Dalish, who are the nomadic elf tribes who wander the great forests of Thedas trying to hold on to the remnants of their old culture. The game’s end reveals that the Dalish are pretty much all wrong about their history, which was kind of a big deal for my Inquisitor. She learned a lot about the true heritage of the elves, and then right after all those revelations got into a big fight with Sera about whether or not it’s all lies. Sera’s background as a city elf who was orphaned at a young age and adopted by a pretty racist human woman has left her really screwed up in terms of how she views other elves (basically she hates everything about elven culture, real and imagined), and so she’s gleeful over the fact that the Dalish are all wrong about their histories. She also thinks that everything about elven religion is equivalent to demon worship and wants nothing to do with it. This situation led to a fight between the Inquisitor and Sera in my game where Sera gave an ultimatum about digging further into elf history. It was pretty harsh, and there was no way to get her to compromise, so the Inquisitor had to agree to drop the subject; I imagine this was a pretty painful thing, considering how I had played the Inquisitor to take pride in her heritage, even if she wasn’t necessarily a major believer in the elven religion (I think my Inquisitor’s religious outlook ended up tending towards decidedly agnostic). It wasn’t a difficult decision for me as the player, but in retrospect it was pretty unfair to my character. Still, I think it’s an excellent bit of characterization, since Sera’s so stubborn and elven Inquisitors have a big disadvantage in trying to romance her. 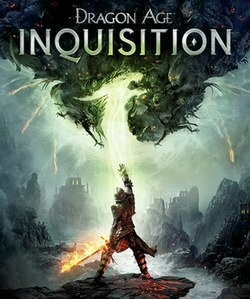 Setting all that aside, I have to say that for the first time in probably ever, I’m looking forward to seeing what the DLC for Inquisition will be like (I usually come to AAA games so long after their initial release that all the DLC’s been released and I either skip it or end up getting it bundled in with the original game). I’d really like some closure on Solas (especially since he was my primary mage, and with him disappearing at the end of the game I’m left without one of my key party members if expansions are set after Corypheus’s defeat; he really is like Morrigan 2.0), and I’d kind of dig getting into more of the fallout surrounding the Grey Wardens as well as the resolution of the Orlesian civil war. Even so, all that’s probably a decent ways off, since we’re only three months out from the game’s original release. It’s the day after Christmas, and I’m preparing to enjoy the second week of my winter break, which is the best time of year aside from the summer break that’s four times as long. In that time, I hope to do some revision on a short story I wrote during NaNoWriMo (it’s always nice to have goals that don’t involve just sitting on the couch, reading comics and playing video games) and catch up on some podcasts (I’m pretty much over the moon that I got a new MP3 player this year since my last one went kaput over two years ago). Besides the ambitious goals, I also have all the typical vacation plans of just enjoying my Christmas gifts and then writing furiously about them, because stories are meant to be engaged, and one of my favorite parts of getting into anything new is the chance to think it over and share my thoughts on it. Anywho, here’s a quick rundown of things that I’ll be mulling over in the near future, as a kind of road map to what I want to discuss in the coming weeks (I’m not going to say in the coming year, because I operate on the academic calendar, and as far as I’m concerned the year ends in May and starts in August). I’ve picked up several volumes of some comic series that I’ve been excited about following, including the first story arc of the new Ms. Marvel ongoing (I picked the first issue up way back in May and was instantly taken with it), the first volume of Rat Queens (on the recommendation of a friend of Rachael’s, who I now fully trust has excellent taste in comics), and a couple volumes of Saga (I know I said I was going to write about that one at some point, but I never got around to it; maybe with three volumes of the series to read through, I’ll get back to it now). I expect I’ll have read through all of them before the end of the weekend, so maybe I’ll have something on at least one of those series in the next week. On the video game front, I’m still working my way through Dragon Age: Inquisition, and I expect I’ll be chipping at that for a while. If I have any further thoughts beyond, “This game’s a lot of fun, and I really don’t like Vivienne,” then I’d love to share those. For Alex, who specifically asked me if I’m going to do any writing on Chrono Cross, the sequel to Chrono Trigger, I’d really like to blog through a replay of that game. It’s an odd one, and it does a lot to complicate Chrono Trigger‘s pretty streamlined narrative (as much as any time-travel story can have), but I remember the game being such a big deal in my mind when it came out simply because it was a sequel to that game that I’d love to revisit it and see how it holds up fifteen years later. 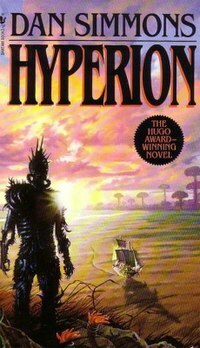 On the front of non-graphical fiction, I’m nearly finished reading the third book in Dan Simmons’s Hyperion saga, and I’d love to mull over that series in depth once I’ve finished with it. Without getting into too much detail, it’s a series that’s kindled a slight interest in Pierre Teilhard de Chardin and also reminds me so much of Mass Effect (which I strongly suspect was cribbing heavily from Simmons’s series). Also, if I can keep my promise to myself about getting back into podcasts, I might try to write more regularly about stories that I listen to. I already said it above, but it bears repeating: stories are meant to be engaged. So that’s what I’m thinking about; we’ll see if I actually stick to any of these plans. Nonetheless, I hope you all had a pleasant Christmas if you celebrate it, and happy holidays throughout the rest of the season. I mentioned back in part 2 of this series (it wasn’t originally supposed to be a series, but when I realized I was approaching three thousand words writing up my first post, I thought it might be better to break this up) that my Shepard ended up basically acting like Jesus, because he was always giving people second chances, making peace, and doing impossible things. It’s not a perfect analogy, since Shepard doesn’t have the whole divinity thing, but I think it more or less holds true. I think this was intentional on the part of the developers (not that I think Mass Effect as a series is specifically Christian, but it clearly has a lot of tropes in common with the gospel), especially after seeing the synthesis ending. With this ending you have Shepard choosing to die in order to usher in a new kind of life intended for everyone. His death literally enables an innate change in every being in the galaxy as his essence is disseminated among all of them (the synthesis is apparently possible because Shepard is both organic and synthetic after he was resurrected using cutting edge technology). Setting aside the weird assertion the Catalyst makes that an integration of synthetic and organic life is the final stage in evolution (I’m not sure where that comes from, but it sounds like gibberish to me), this whole scenario has Jesus written all over it. I wrote before that I never intended for my Shepard to take on the whole Christ role, and I really wanted him to walk away from the Reaper war with that happy ending for everyone. Of course, that’s not what happened, and it doesn’t do a whole lot of good to look at the story and say how it should have ended. That’s certainly a fun exercise, but it’s still wish fulfillment, and wish fulfillment doesn’t do very much at all when it comes to exploring how a story reflects the human condition. So let’s look at the story we got. I played Shepard as a person with principals and ideals, and he upheld those ideals to the very end, even though it took a heavy toll on him personally. There’s a point just before the endgame of Mass Effect 3 begins where Shepard’s forced to deal with a very serious loss in terms of the war. 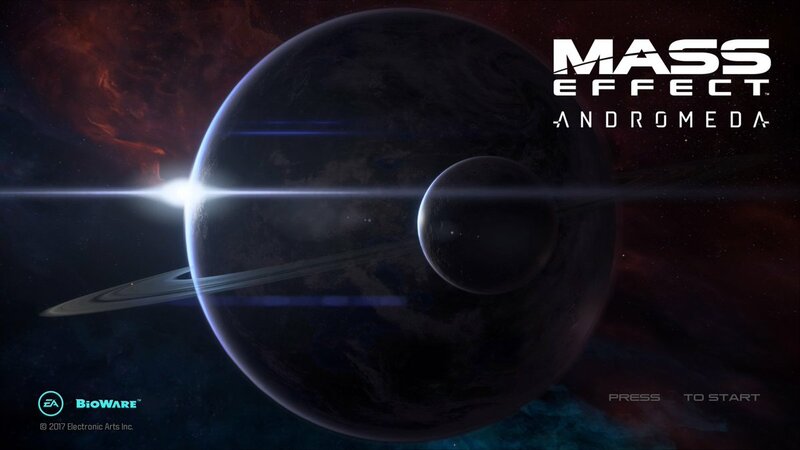 It’s a major blow to the galactic defense, and it serves as a wake up call that for all the amazing things Shepard’s done before, he simply can’t save everyone. In hindsight, I suppose the point of that mission was to remind the player that things wouldn’t necessarily work out to be totally satisfying in a “you saved everyone and got out alive!” sort of way, but there are so many moments in the series overall where Shepard’s slim chances of success are emphasized that you kind of get numb to it. Anyway, metanarrative aside, following this mission Shepard has a conversation with his ship’s pilot, Joker, where it becomes apparent that Shepard is cracking at the seams from all the stress of organizing the war. Despite the cool demeanor that he puts forward, Shepard is really worried about what’s going to happen, and this segment serves to remind us that our hero is human, no matter what we may have deluded ourselves into thinking about them up to this point. Then I had an epiphany (ignore the fact that I finished the game on January 7). My Shepard had ended up being a type of Christ, and he did so unwillingly, at least in my mind. He desperately wanted the peaceful life, but he couldn’t bring himself to wipe out an entire race in order to do it (the way the game’s original ending scenario presents it, Shepard may die even if you choose to destroy the Catalyst, since the effects will be to wipe out all synthetic life in the universe, and the Catalyst makes a point of saying that Shepard is part synthetic) especially with no guarantee that he’d even survive. He was tempted, but he chose the selfless path. I wondered if that sort of scenario is similar to what Jesus actually had to deal with during his life. It’s a funny thing, trying to hold in mind the paradox of Christ being simultaneously divine and human, because so much of what contemporary culture focuses on with Jesus is his divinity. We’re told he performed miracles, and forgave relentlessly, and went to die for us without hesitation. His birth was heralded as the coming of Immanuel, God with us. It’s easy to forget (if you believe in Jesus’ divinity) that he inhabited a human body, and he struggled with human wants and needs. Before he was arrested in Gethsemane, he prayed that God wouldn’t burden him with the responsibility of dying for the world. Jesus the human being wanted to live. The fact that he chose not to says to me he thought the cost for backing down from the responsibility was too great. It probably hurt a lot to make that decision, and I mean that in more than just physical terms. We generally understand how agonizing and humiliating a death by crucifixion was, but I don’t think we consider very often the kind of emotional pain that accompanies choosing to forgo your life as it is for a greater good. Perhaps the Resurrection signaled the synthesis of a new kind of life for people, integrating the stuff of their mundane existences with something alien and transcendent and ultimately good. It still must have hurt to leave all those people behind. And that’s how I feel about the ending of Mass Effect 3 that I got. Now, the hero falling in love might be written off in other games as the token romance subplot that every story is expected to have in order to titillate viewers a little bit, but I didn’t get that from my Shepard’s story. He had a thing with one woman, Liara, early on, but that fell through because things happen (including Shepard’s death and resurrection, but that’s a story for another time) and they were separated. When they met again, the magic had gone, mostly because Liara had moved on and made something of her life apart from Shepard, and he had important business to deal with saving the galaxy. Then he fell for another woman, Tali, who was an old friend from his earliest adventures. It began as a simple crush on her part that had gone unrequited for some time, and then Shepard realized that Tali had been there for him the whole way. They were good friends, and then they became more than that. While Shepard was going through some of the most trying parts of his mission, she was there to support him. They were unavoidably separated after Shepard completed his suicide mission to stop the Collectors, and they spent six months apart. When they saw each other again, there was some uncertainty about their affections for one another, but those vanished quickly. The fact that there was a war going on didn’t matter. Honestly, it made them more resolute. Everything was falling apart and uncertain, but they could at least depend on each other. Then when they helped reclaim Tali’s home world (while simultaneously ensuring the cooperation and peace of two races that had been at war for about three hundred years), they realized they could have a life together there. I really wanted them to have that life together. It was at this point in Shepard’s story that I started to worry about how the ending was going to play out. I knew that there was a possibility Tali could die in the ending if I didn’t have my galactic readiness score (a metric used in game to determine how powerful the forces Shepard gathers to combat the Reapers is) high enough, to say nothing of being able to get an ending where Shepard himself didn’t die. It was a major conundrum, because I went back and forth over whether I would risk having Tali die so Shepard could live (since I didn’t know exactly what the parameters were for getting an optimal ending) or if I’d go for the noble sacrifice. My inclination was to go for the noble sacrifice, simply because I figured the win-all ending where Shepard gets out alive and everyone else survives was unlikely to be available with my inability to access the online parts of the game. Of course, this was back before I learned there isn’t a win-all ending at all. Like I pointed out earlier, the three broad versions of the ending consist of two options that result in Shepard dying to save the galaxy, and the third option where his survival is possible, but at the cost of annihilating an entire race (and one of Shepard’s aforementioned friends). Those were all bad choices for the way I had shaped the story, because my Shepard was definitely the noble type, but he really wanted to have that happy ending with the quiet retirement. The fact that he’d developed a reputation for making the impossible happen left me hoping there might be a way to have his cake and eat it, but that just isn’t in the cards. Yeah, it’s possible for Shepard to get out alive, but the cost is too high for the Shepard that I played. How was he supposed to live with the guilt of destroying an entire race that he worked so hard to save in the first place? So basically, I realized that my particular Shepard was doomed to a tragic ending no matter what. He was either going to become a genocide in order to preserve his own personal happiness, or he was going to sacrifice himself for the good of everyone else. And that’s what really made me angry about the game’s ending. I know that Mass Effect is a war story, and most of the endings were probably going to involve making a hard choice. But I also learned from playing through the games that with enough effort, the player could manipulate events to work out where everyone wins. This wasn’t true in every situation (no matter what, you have to let one of your squad mates die at one point in the first game), but it was a possibility so many other times that I just took for granted that the developers would include a wish fulfillment ending. Reflecting on the experience now, I think it was the assumption of there being a wish fulfillment ending where Shepard gets his happily ever after and the galaxy is restored to peace without losing something irreplaceable that filled me with all the angst over being limited in what ending options I could get with the crippled Xbox. The realization that there never was an ending like that felt like a betrayal of what the developers had promised me (which I know is absurd because all they ever promised to do was tell a war story; there was never any promise that it would end happily). So, for what it’s worth, the ending I would have liked would have involved Shepard persuading the Catalyst that the Reapers aren’t necessary anymore by offering the peace between synthetics and organics that have been blooming as examples of progress during this galactic cycle (let alone the fact that organics do plenty of fighting among themselves, so this assumption that it’s a “synthetic vs. organic” conflict instead of a more general “us vs. them” is flawed and causes needless violence and destruction). The Catalyst considers the evidence and decides to recall the Reapers, leaving all the galactic races to rebuild without the Crucible (the superweapon that was being built to combat the Reapers) being fired at all. Shepard gets to go home and have a peaceful retirement with Tali, and everyone lives happily ever after. That’s the ending I wanted, anyway. I’m still working out how I feel about the ending I got.